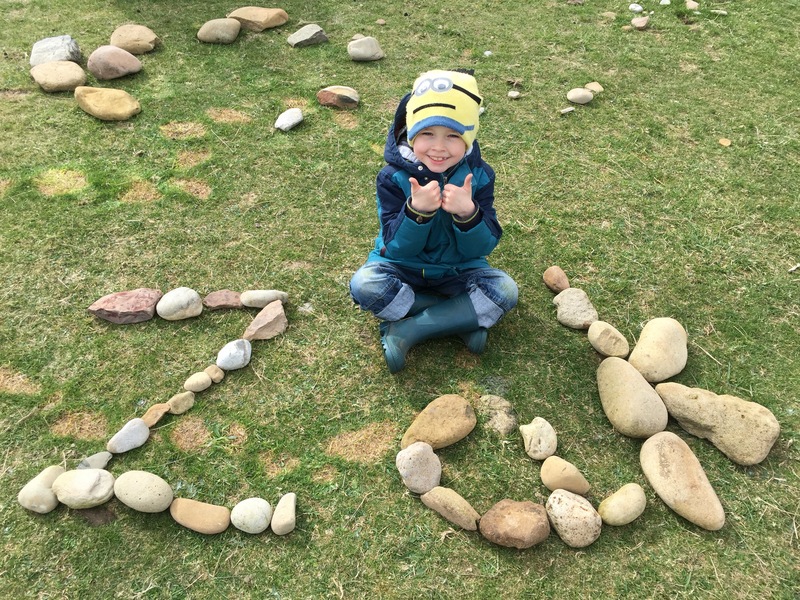 I was woken at 6:15am by the sound of my eldest crying….my heart broke. He was in so much distress that he was wimpering he thought he was dying. Over dramatic, yes, but when you’ve been poorly with flu for 6 days running I can imagine you’re pretty fed up and don’t know which way is up anymore. He’s been irritable beyond reason, delirious and irrational. At times, it’s been hard to stay composed and not panic – I just have to keep reminding myself it’s only flu and to keep him hydrated and rested and I need to…STAY AWAY FROM GOOGLE!!!!! “Can Zak come out to play?!?!? !” a little voice shouts from the doorway. It’s one of his new friends…. “He’s still asleep in bed!” My Dad tells him. “Alright. Give us a little bit of time to wake him up and when he’s ready we will send him over to your cottage to knock for you….” we say. “It’s ok, I’ll just wait here…” He replies. Meaning, he’s he’s going to wait in the doorway for him. “He may be a little while so you go and play or go back to your cottage and we will send him over” we reiterate. The little chap finally gets the message bless him and scampers off to wait on the climbing frame. It really cracked me up how confident this little lad was. When is it we loose that confidence and stop being so brave and self assured? I think it’s brilliant and I could probably learn a thing or two from these kids myself…. I wake Zak, my middle one, up and he is dressed quicker than a ferret running up a mans trouser leg. Why is he never this quick on a school day??? Once everyone is up, including my eldest, we assess the sickness levels for the day. Yes, this has sadly become a thing during this holiday. My mum is poorly, a cough, a headache and body aches but she is a woman and she troups on doing some breakfast and a few chores dispite being told to sit down. Infuriating and admirable at the same time. The toddler has made a miraculous recovery. His temperature is normal but he is very whiney….and this lasts the ENTIRE day. Sadly he will only be near me again and it’s been like having a pretty useless extra limb which has Tourettes for most of the day that randomly shouts, “no!” and “Juice!” and “go away! 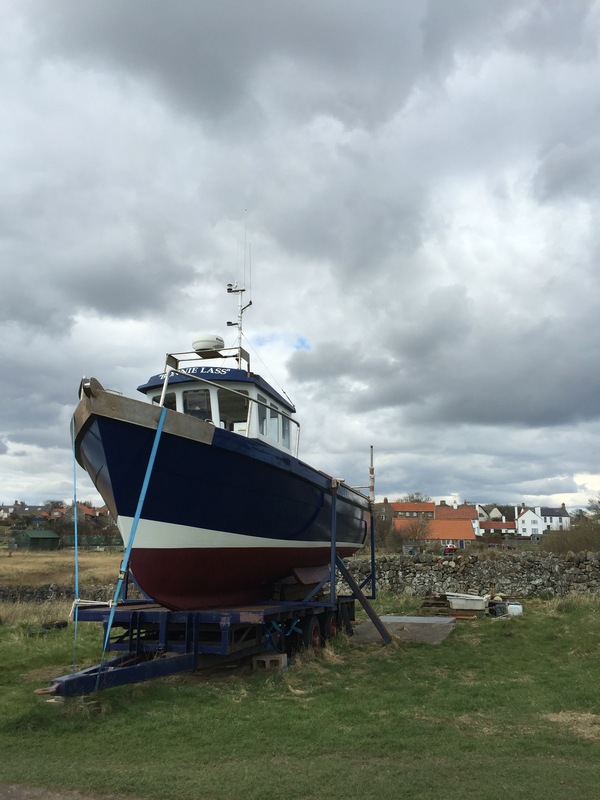 !” whenever it fancies…. …and by some miracle, my eldest wakes up after a bit of a power nap and says he’s feeling better!! It’s a miracle. So much so, he gets himself dressed and goes out to play with his brother on the climbing frame!! I’m absolutely over the moon he’s outside playing. 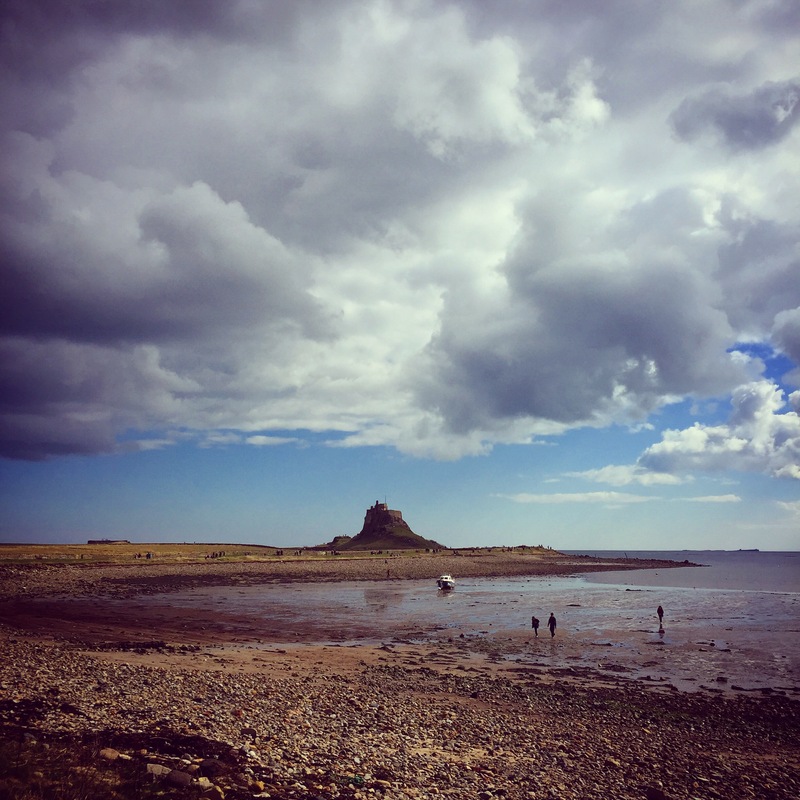 As everyone is feeling ok-ish, and the forecast is set to change tomorrow and Friday here, we make the most of it and risk driving 20 minutes up the road to Lindisfarne Island or, Holy Island, as it’s also known. The Holy Island of Lindisfarne is a tidal island in Northumberland. 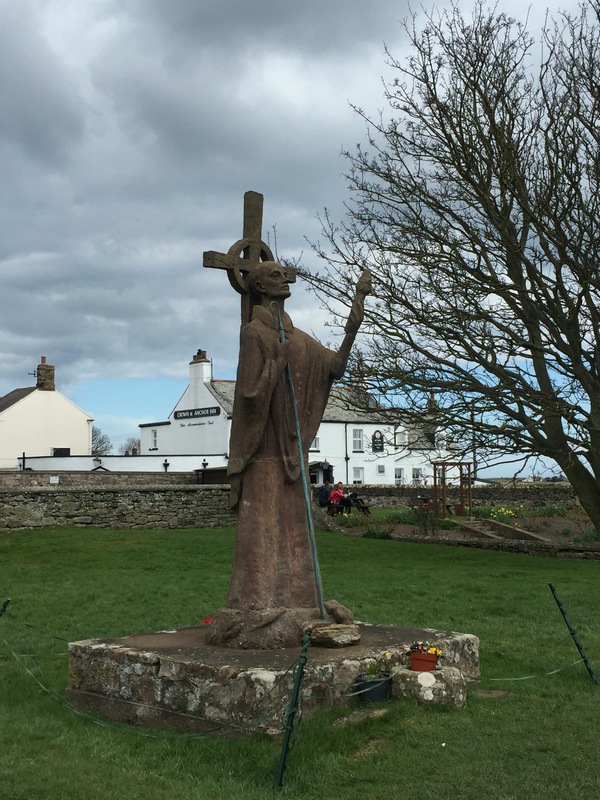 Holy Island has a recorded history from the 6th century. 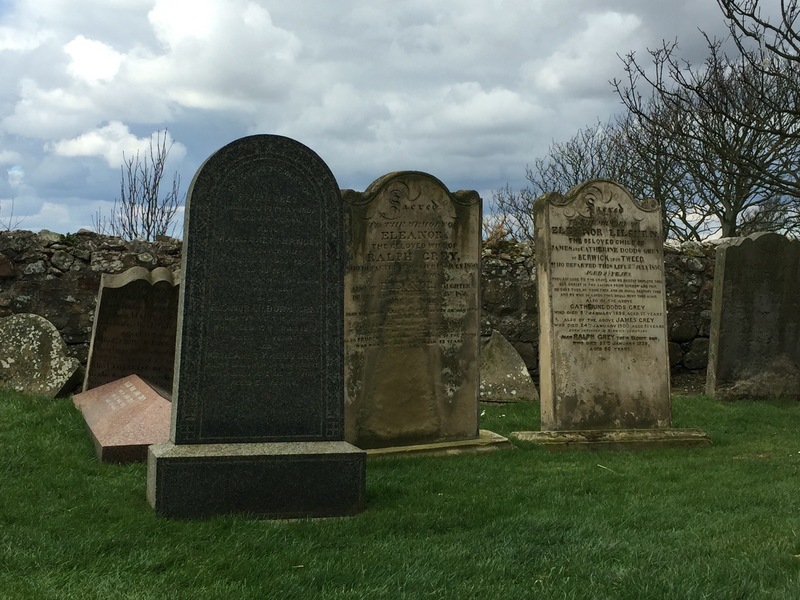 Attacked by Vikings over the years, it was an important centre of Celtic Christianity under Saints Aidan of Lindisfarne, Cuthbert, Eadfrith of Lindisfarne and Eadberht of Lindisfarne. 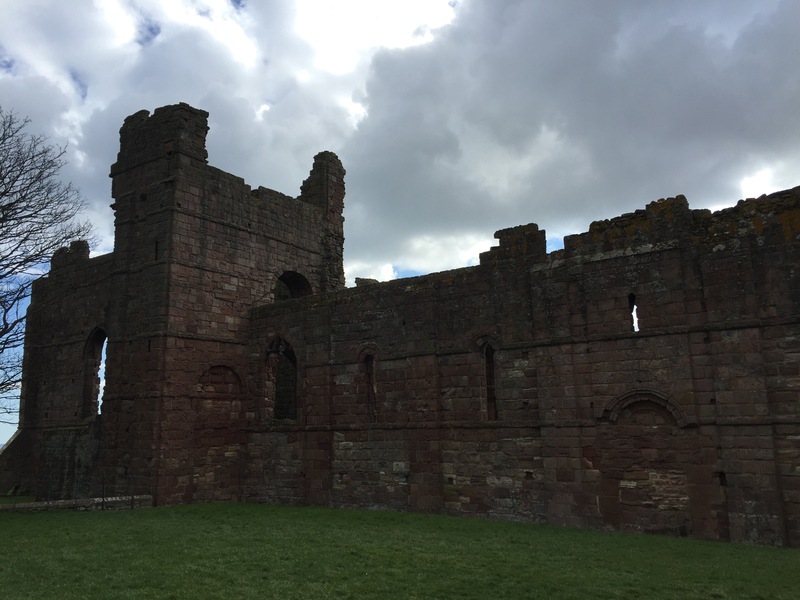 After the Viking invasions and the Norman conquest of England, a priory was reestablished. A small castle was built on the island in 1550. 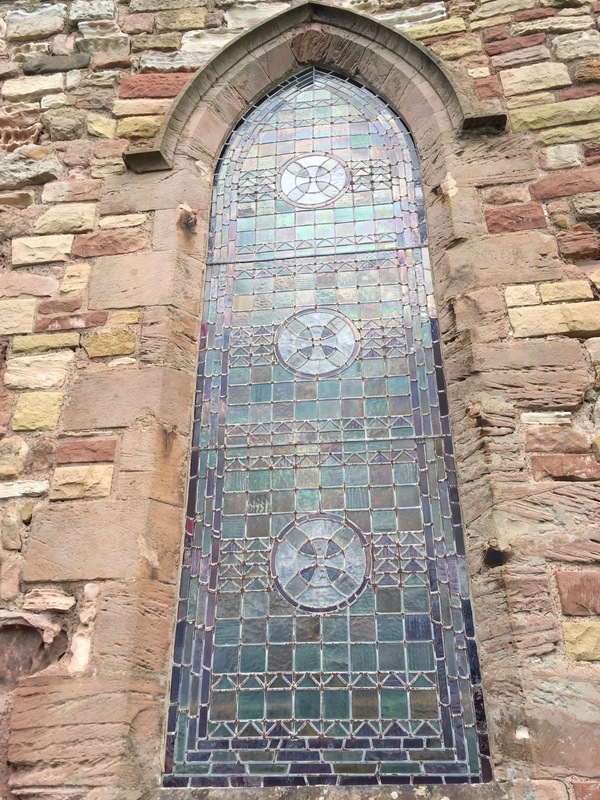 Lindisfarne became the base for Christian evangelism in the North of England once a priory was built there in 634AD. Basically, it’s very historic! We drive there and have to navigate the causeway which connects the island to the mainland. My husband the pretend Stig was very excited about this part and wanted to wait until the tide began to come in to leave. Boys…. The causeway is only accessible when the tide is out. 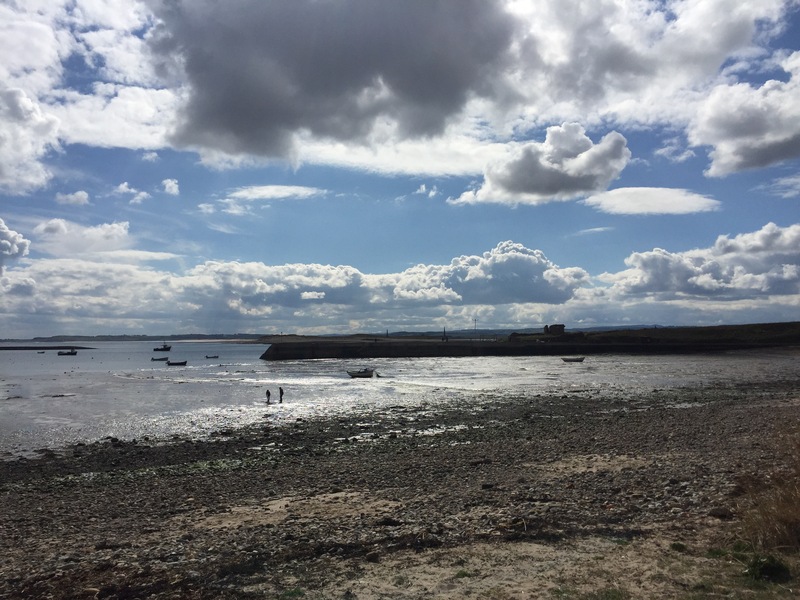 The tide was out between 10:10am and 6:30pm today so we, thankfully, had plenty of time to get there and back before having to worry about getting stuck in the sea! 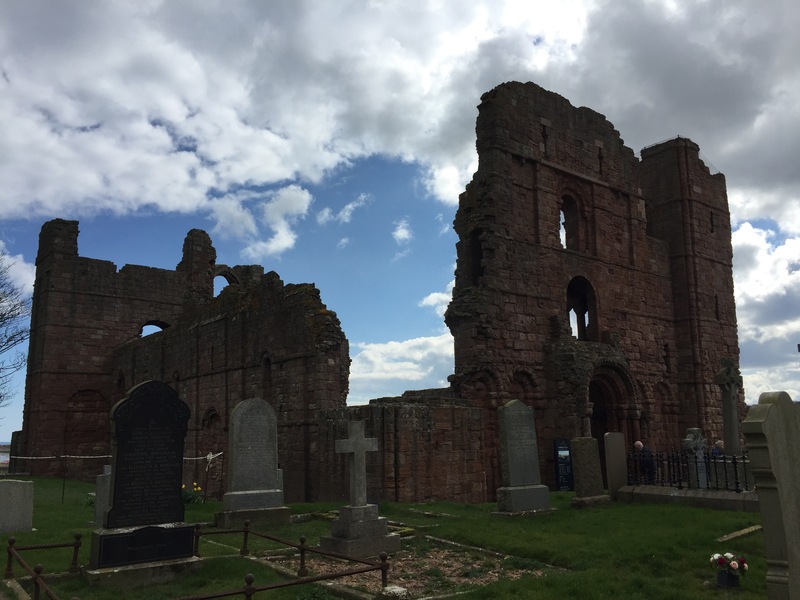 We park up and take a slow walk to Lindisfarne Priory. These are mostly ruins thanks to the dissolution of the monasteries when Henry VIII was in power. They are, however, still very impressive and you can’t help but marvel at their building and architectural skills. The building itself is made of sandstone and we later found out that some of the stones from the priory were used to make the castle once it was destroyed. 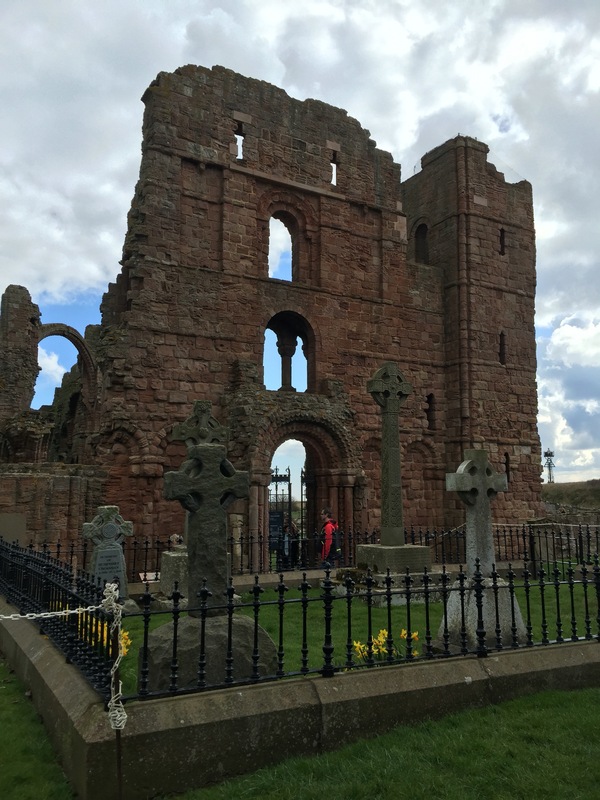 The priory now stands in the shadow of a beautiful old church, St Mary’s, which they think is built on the same site as the first ever church on the island which was built by St Aidan. It’s a very peaceful place (well, apart from my toddler screaming his head off for “yum yums!!! !” and “juice!! 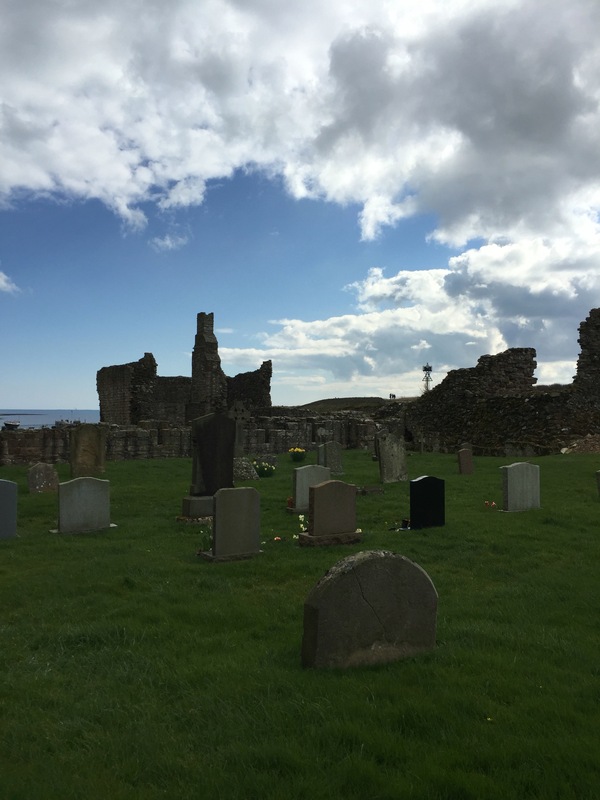 !”in the peace of the graveyard, with stunning views, and it is now the hub for pilgrims once they arrive on the Island. 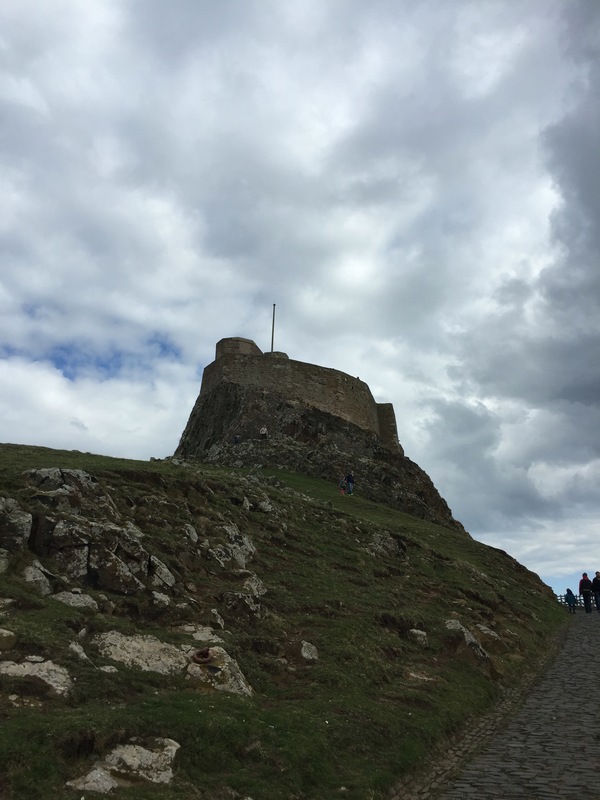 It’s quite a small place as far as castles go, but imposing nonetheless, standing atop a rocky crag which was originally formed by a massive volcanic eruption. It’s main purpose was defensive as this part of the country was extremely susceptible to attacks by the Scots. 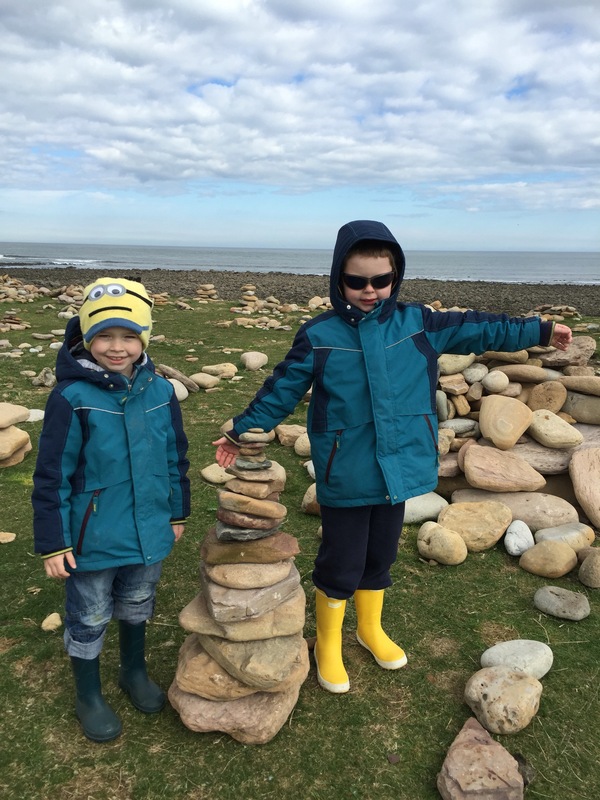 At the end of the island, just beyond the castle, lies a very rocky beach and the grass there is absolutely covered with cobbles, rocks and boulders. 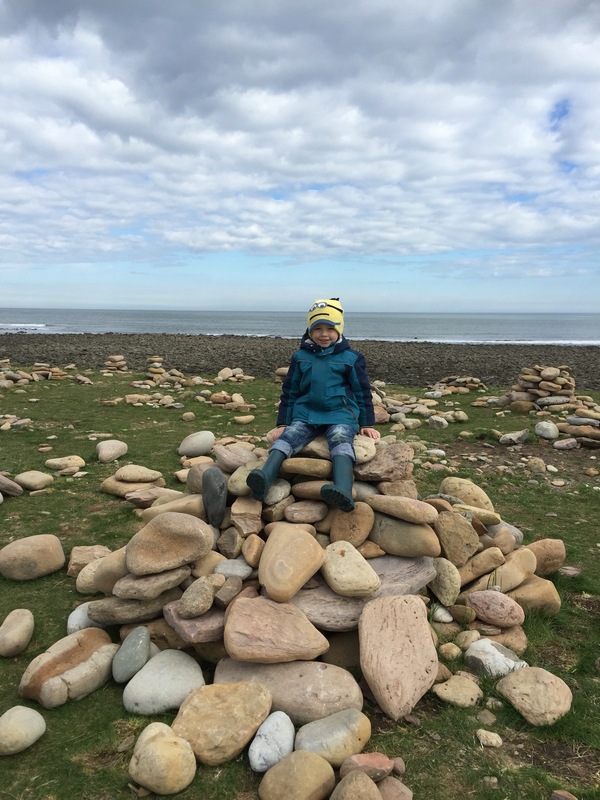 It’s Makka Pakka’s absolute dream land…..
We then admitted defeat as my eldest had begun to crash and burn again after his delirious high point. He had done very well to manage going out and, as a reward, he thankfully managed to eat a lurid blue bubblegum ice Lolly – which is the first ‘food’ he’s had in 6 days….it also stained his mouth quite epically and he now looks radioactive as well as poorly. Upon driving home, we stop off to get the adults and my middle one some fish and chips for dinner. 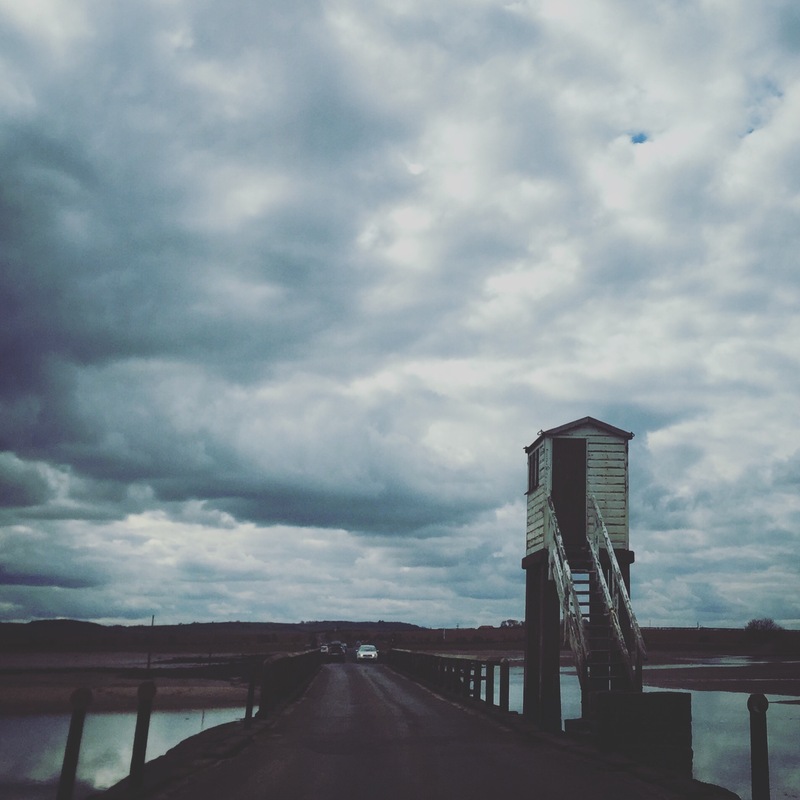 We drive to Seashouses and we settle for getting them from a placed called Neptune – we aren’t disappointed. Fresh fish, yummy chips and my dads childhood memory of asking for crispy batter was fulfilled once again as they will serve the stuff on top of your chips if you like. Fried yumminess…. 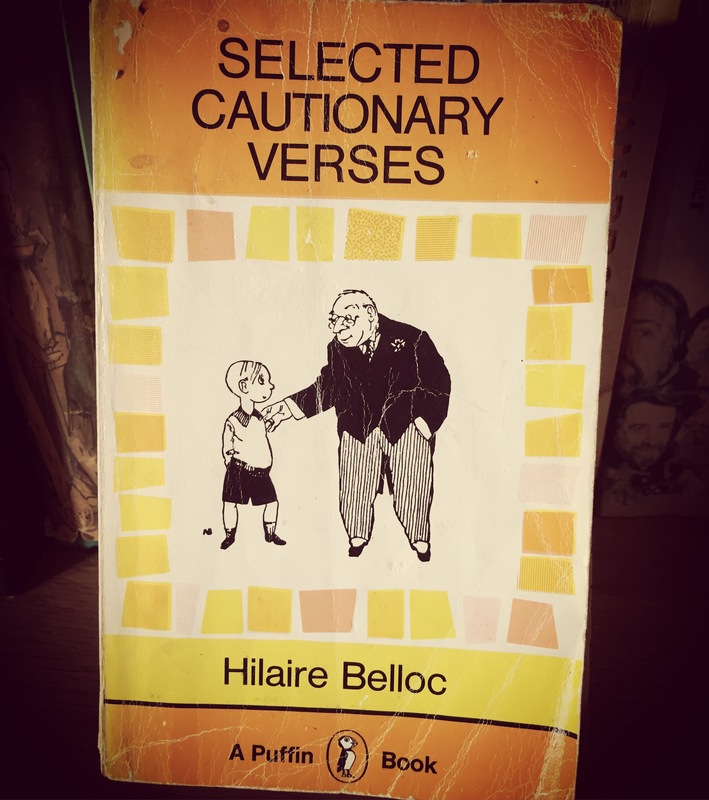 i sit down after eating and I decide to read a book off the holiday cottage bookshelf called, “Selected cautionary verses”. Published in the 1970s, but originally from 1950, it contains stories and tales in it, for children, to encourage them to listen to adults and not do stupid or naughty things, otherwise, something terrible may happen to you…. Im intrigued by it – and maybe need some tips in getting my children to behave – so I decide to read on. One of the tales is about a boy called Jim, who ran away from his nurse and was eventually eaten by a lion because of his naughtiness. All that was left of him in the end was his head. There is a picture of this in the book….ignore your mother (or ‘nurse’ at your peril, younglings. Another tale in the book is of a girl called Matilda, who told so many lies she was burnt alive. It is a take on the story of the boy who cried wolf….but far more savage. Again, a dark tale to explain why lying is not a smart thing to do. I understand it’s sentiments, but I think its potentially a story to bring nightmares and remove all trust and faith in the fire brigade who do come to help in the end but refuse to after not believing Matilda that her house is actually on fire. Sounds like perfect bedtime reading for my children, don’t you agree? Ignore the tales inside at your peril….. I also saw a diet book on there from the 1980s. I didn’t read it but evidently, it was so bad and made the person who bought it so hungry, they ended up eating the book…. Love the little boy at the door – how funny! I think you should have just let him stand there & stare at you, though! 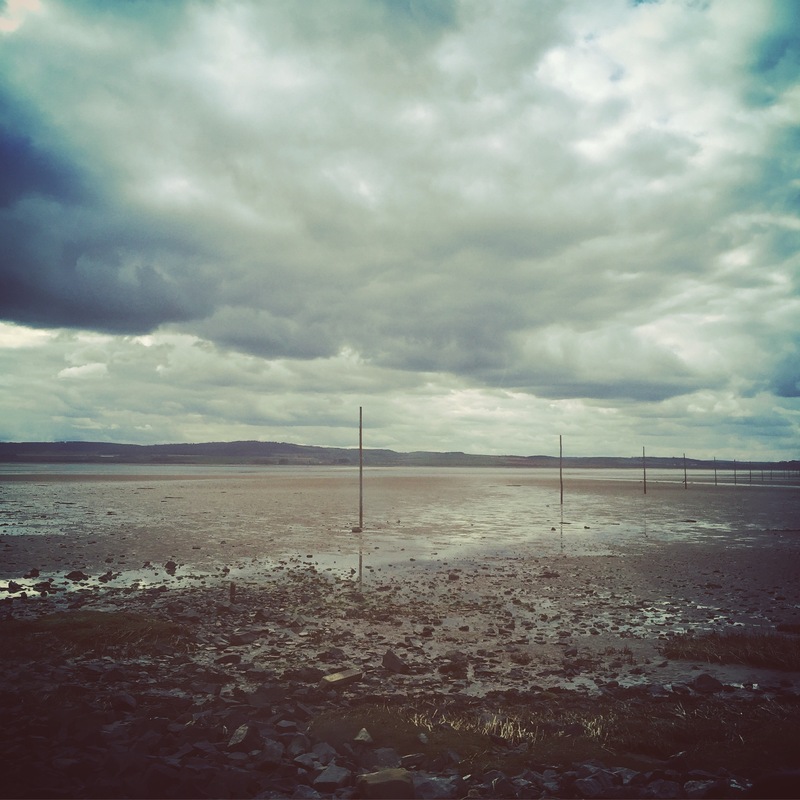 I’ve been to Holy Island! I drew a picture of that priory when I was a kid! It’s lovely up there – would like to go back one day.